FIAT of Portland features the latest manufacturer offers and incentives on all new FIAT vehicles. Discover which offers are best for you and drive off in a new car today. 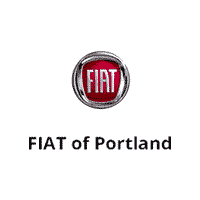 Here at FIAT of Portland, We’re Home to New & Used Cars, Parts & Service, and Financing in Portland. Those in search of a new FIAT vehicle in Portland ME, Westbrook ME, Biddeford ME, Saco ME, and Manchester NH, don’t need to look any further. Here at our dealership, we have a wide selection of vehicles to choose from, and a team of specialists who have the knowledge and expertise to assist you throughout your car buying experience. Of course, we don’t limit ourselves to new 2017-2018 FIAT and used car sales. You can also find auto finance options, car service, auto repair, and access to parts and accessories you need for your vehicle. When You’re Ready to Talk Auto Finance, FIAT of Portland, Serving Portland ME, Westbrook ME, Biddeford ME, Saco ME, and Manchester NH, is Standing By. We know that driving home in the vehicle of your dreams is a top priority (and it definitely should be), but you also want to make sure you have all the details sorted out when it comes to financing. To put your mind at ease, our car loan and FIAT lease specialists are here to help you achieve your goal. We’ll take the time to help you understand your options, and find the right plan for you. It’s all a part of the FIAT of Portland experience as we get you closer to turning your dreams of ownership into reality. Now that you know everything FIAT of Portland has to offer, chances are you’ll want to actually see it for yourself. If so, come see us at 4 Rand Road, Portland, Maine. Our team will be more than happy to show you around, set up a test drive, talk finance, order parts or schedule your next service appointment. Every once in a while, something comes along so powerful in concept, so revolutionary in its design, it redefines generations. America, get ready for the one and only FIAT 500. Born over fifty years ago on July 4, 1957, it was more than just a car. It made history. It gave people the ability to move freely and with confidence. A liberating form of self-expression, the FIAT 500 was built to satisfy people’s insatiable love for each day.